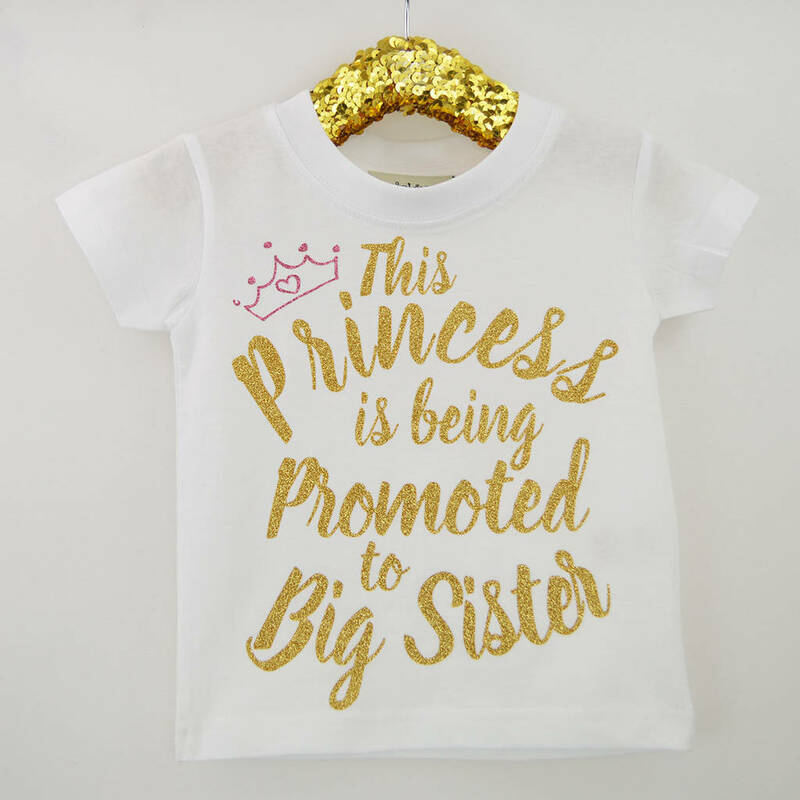 A fabulous announcement t-shirt for that extra fabulous Big Sister. A really fun slogan t-shirt which can be personalised with a date (or a name if you prefer) or can be printed without. 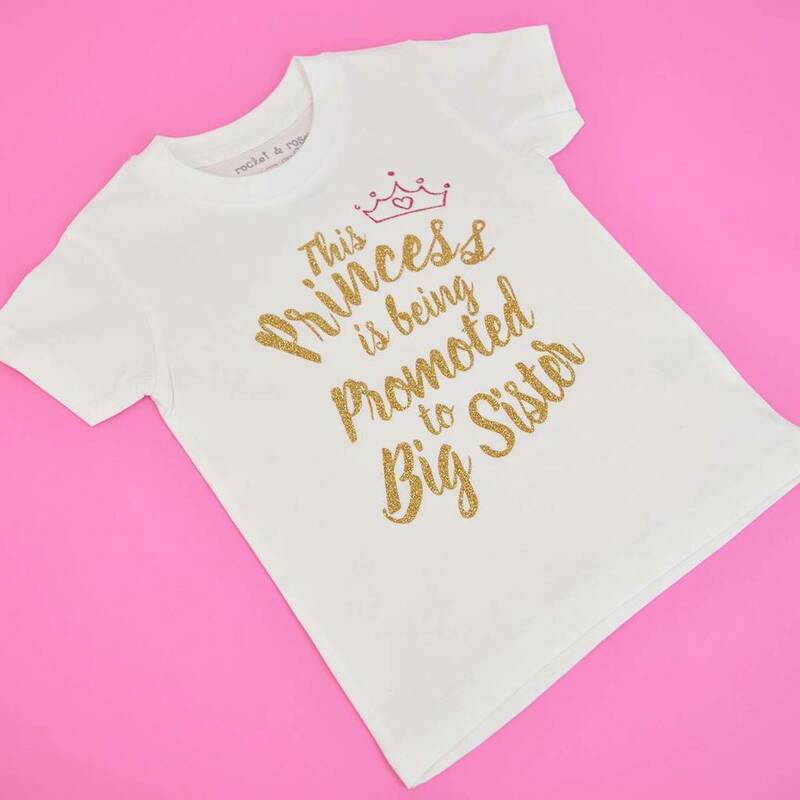 The This Princess is being promoted to Big Sister' New Baby Announcement T Shirt is available as a white short sleeved t-shirt in a range of different colours & print choices. 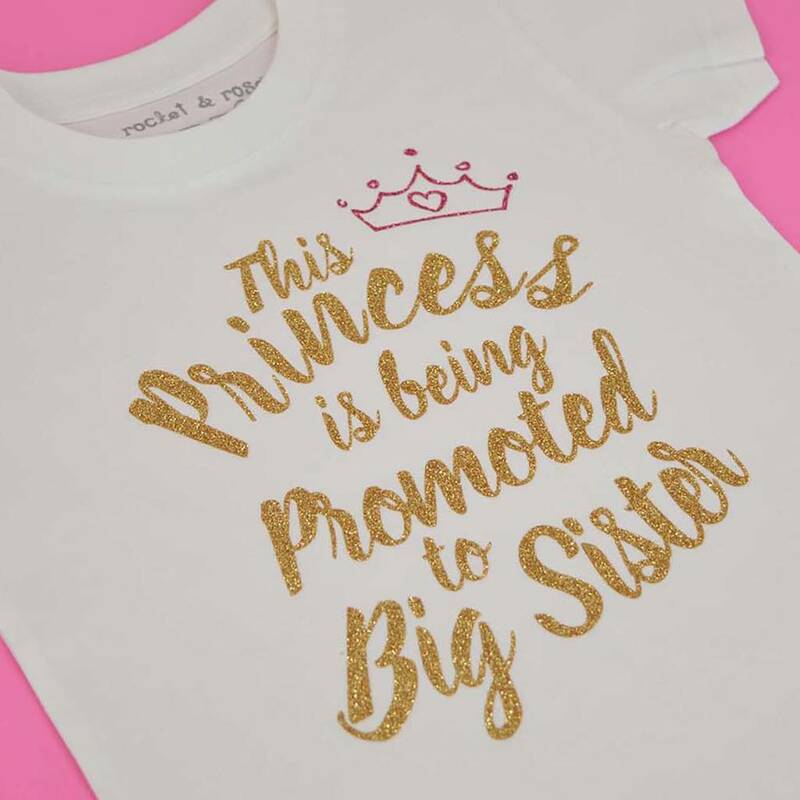 So you can choose the design to match that Big Sister Princess wardrobe! The print option you are asked to choose is the colour of the print on the t-shirt. We are able to add a name to the design, please let us know if you would like this added. The sizes are: 0-6 months, 6-12 months, 1-2 years, 3-4 years, 5-6 years, 7-8 years & 9-11 years & is available in White, Baby Pink, Light Grey, Black or Navy Blue. Chest Sizes: 0-6 month 21.5", 6-12 months 22", 1-2 years 25", 3-4 years 26", 5-6 years 28", 7-8 years 30" & 9-11 years 32".